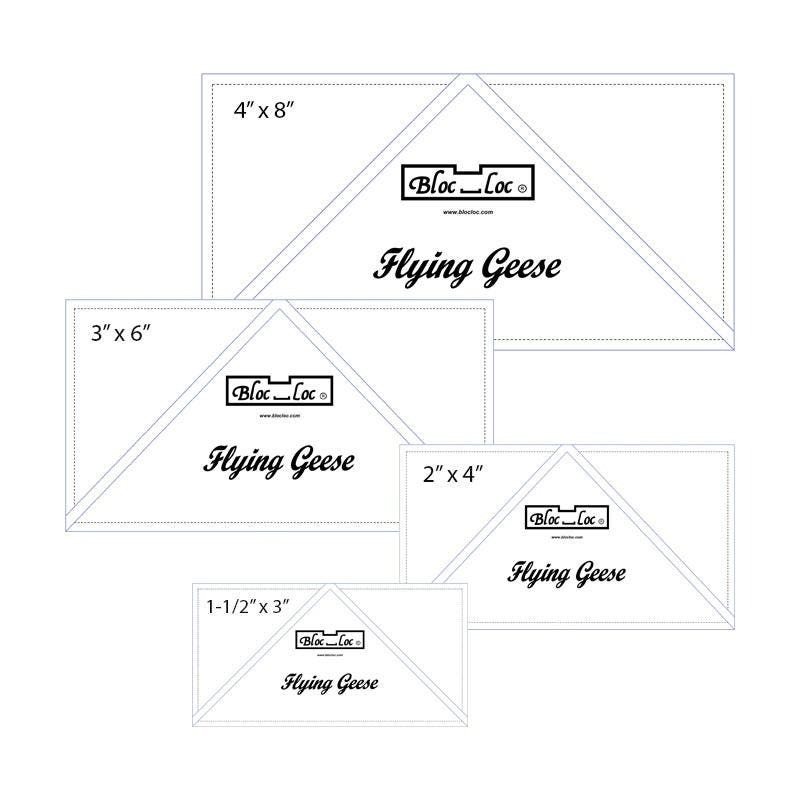 Flying Geese Ruler Set 1 includes: 1-1/2" x 3", 2" x 4", 3" x 6", and 4" x 8"
Bloc Loc Flying Geese Rulers lock onto both seams and allow you to trim flying geese and square in a square units fast. Flying Geese Ruler Set 1 includes: 1-1/2" x 3", 2" x 4", 3" x 6", and 4" x 8". Perfect for my project, love these rulers for flying geese, so easy to use! Thank you for your speedy service! These rulers are the bomb! They square up your Flying geese to perfection! I only wish they weren’t so dang expensive but that’s not the sellers fault!